We received an update on its annual dictionary service project. During the past couple of weeks, participated in a long-standing Club service project and deliv-ered dictionaries to students at Huachuca Mountain Elementary School and Gen. Meyer Elementary. This project always brings smiles and "thank you’s" from the stu-dents and provides Rotarians an opportunity to interact with the rising generation. 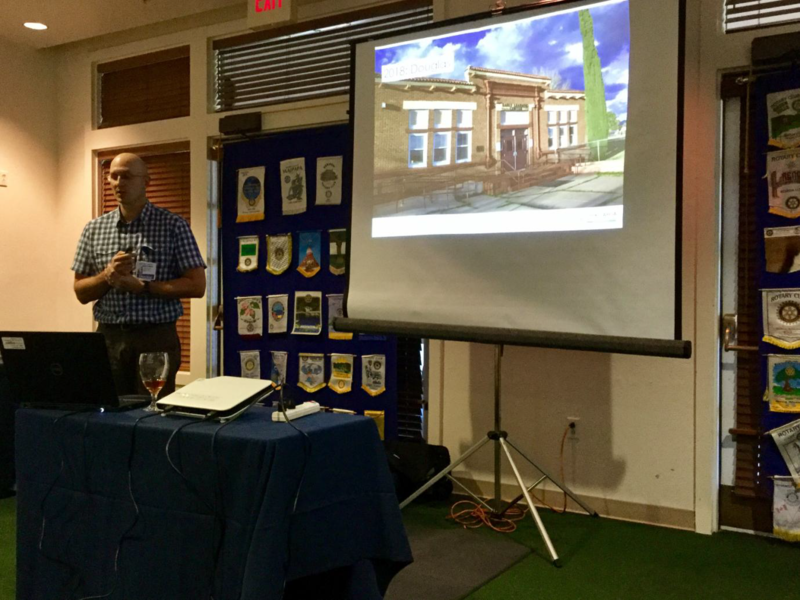 Rotarians were then privileged to hear from Dr. Jonathan Melk, CEO of Chiricahua Community Health Centers, Inc. ("CCHCI"). Dr. Melk explained that for many years, CCHCI worked quietly behind the scenes to provide quality care in southern Arizona. It has recently hired Sarah Pacheco to bring CCHCI out of obscurity and into the forefront of people's minds. Dr. Melk informed Rotarians that CCHCI is not just another clinic; it's a federally quali-fied health center ("FQHC"). A FQHC is a community-based organization that provides comprehensive primary care and preventive care, including health, oral, and mental health/substance abuse services to persons of all ages, regardless of their ability to pay or health insurance status. As of today’s date, there are 1300 FQHC's throughout the 50 states serving 27 million people. CCHCI operates as a non-profit 501(C)(3) to provide health care to all people, re-gardless of the ability to pay or not. Its mission is to seek out underserved populations to provide routine care. CCHCI started in Elfrida, Arizona in 1996, and has since grown from 4 to 328 em-ployees. CCHCI currently has eight permanent locations (with others in the planning stages) and operates eight mobile clinics. CCHCI is the county’s largest primary care provider, offering medical, dental, pharmacy, behavioral health, enabling services, die-tetics, community outreach and enrollment services.